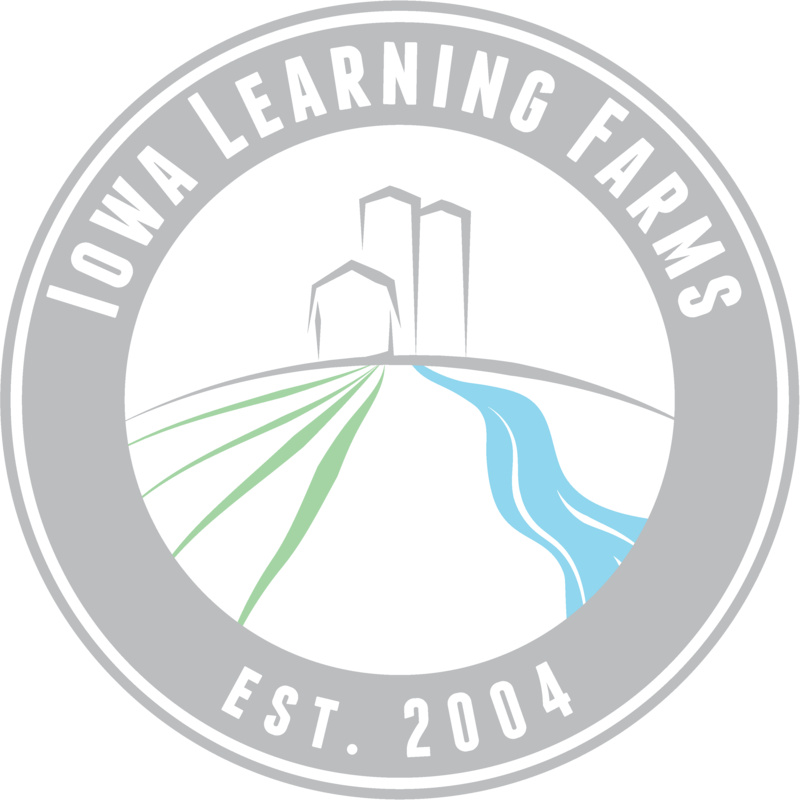 With the entire state of Iowa picking sides as the Cyclones and Hawkeyes meet on the gridiron tomorrow, the Iowa Learning Farms team helped to showcase an outstanding collaboration between the two “teams” with a field day last evening at the Eastern Iowa Airport in Cedar Rapids! It was an absolutely beautiful evening, with 70 people in attendance to learn about how the Eastern Iowa Airport is implementing a number of innovative conservation practices on its land, in collaboration with the University of Iowa’s Biomass Fuel Project and Iowa State University’s STRIPS project. Our field day was situated right between the field sites for these two projects, and it was great to see the support of the airport, the City of Cedar Rapids, and the two universities – a truly collaborative effort, and a definite win for conservation! Cedar Rapids mayor Ron Corbett kicked things off, emphasizing the power of collective action for good – whether it be through sandbagging to save the City of Cedar Rapids’ final drinking water well in the floods of 2008, or working together on efforts to implement unique conservation practices on the ground to benefit both water quality and water quantity. ISU’s Emily Heaton then jumped right in to lead a discussion and answer people’s questions about the use of giant miscanthus as a potential bioenergy crop. Giant miscanthus has been planted on 63 acres of the airport’s property, and is being harvested for use in the University of Iowa’s Biomass Fuel Project. Several area farmers are also growing miscanthus to supply the U of I with this feedstock. Field day attendees had many questions for Heaton about planting, growing, and harvesting the miscanthus – see a sampling of the outstanding questions below! What are the water quality benefits (nutrient reductions) with miscanthus? What is the water use of miscanthus? Does it reduce runoff? What are the habitat/wildlife benefits of growing miscanthus? How long does miscanthus remain viable? Do you need to harvest it annually? How does miscanthus tolerate extemes – flood and drought? What are the production costs of miscanthus – seed, fertility program, etc.? What does it do for the character of the soil? When is the best planting window for miscanthus? How does miscanthus compare in terms of energy content to other fuel sources? How much is it worth when you harvest it? If I want to plant some of this miscanthus on my farm, where do I get seed? ISU’s Lisa Schulte Moore was up next, highlighting the other “on the ground” practice at our field day site – prairie strips! The idea behind prairie strips is to transition approximately 10% of a row cropped landscape to strips of perennial prairie vegetation, reaping benefits for soil health, water quality, and biodiversity. Schulte Moore emphasized the important steps in establishing and maintaining the prairie strips, and with proper care, the amazing disproportionate benefits these strips can offer. We also heard from the University of Iowa’s Ingrid Gronstal-Anderson and Ben Anderson, talking about the University of Iowa’s sustainability goals with these projects and how the U of I power plant is working to integrate different bioenergy feedstocks into their energy stream. Finally, Eastern Iowa Airport Director Marty Lenss wrapped things up by praising the collaborative nature of this work, just as the sun was setting and giving us a spectacular show across the western horizon. No matter which side you’ll be cheering for in tomorrow’s football game, this is one outstanding collaboration that we can all celebrate! Prairie strips installed at the McNay Research Farm near Chariton. Last night kicked off the first of our STRIPS field days this month at the McNay Memorial Research and Demonstration Farm near Chariton. There was a great turnout and good discussion about how prairie strips and cover crops can help meet the goals laid out by the Iowa Nutrient Reduction Strategy. By converting just 10% of a crop-field to diverse, native perennials, farmers and landowners can reduce the amount of soil leaving their fields by 90% and the amount of nitrogen leaving their fields through surface runoff by up to 85%. 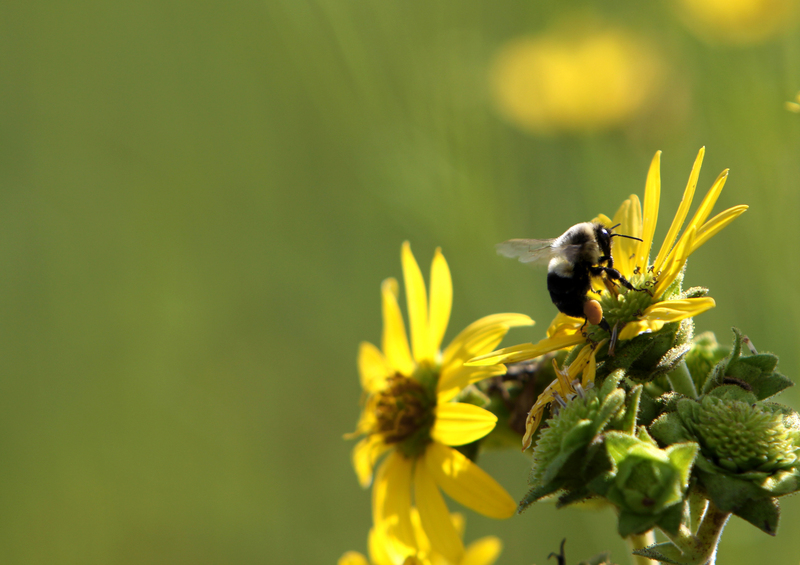 Prairie strips also provide potential habitat for biodiversity, including pollinators and other beneficial insects. 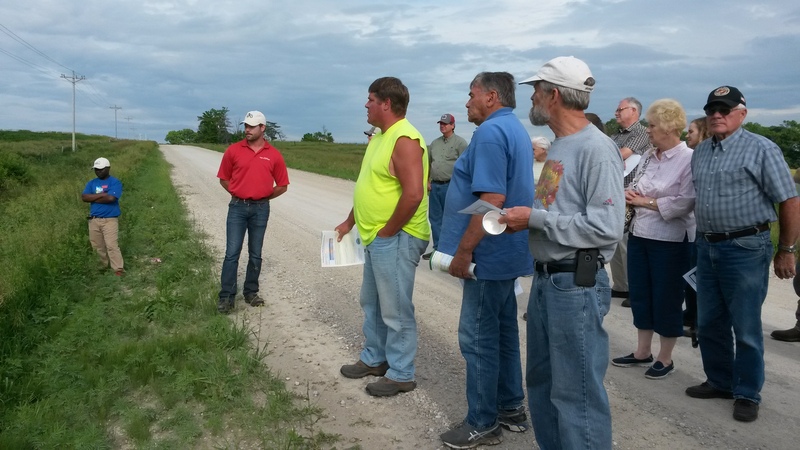 Tim Youngquist discusses the prairie strips program on June 16, 2015. There are two more opportunities to attend a strips field day and we hope to see you there! Click the links below to read the press release for more information about the field days.